Activity in the U.S. services sector, which accounts for a much larger share of the overall economy than manufacturing, expanded at a slower rate last month, according to a new report from IHS Markit. 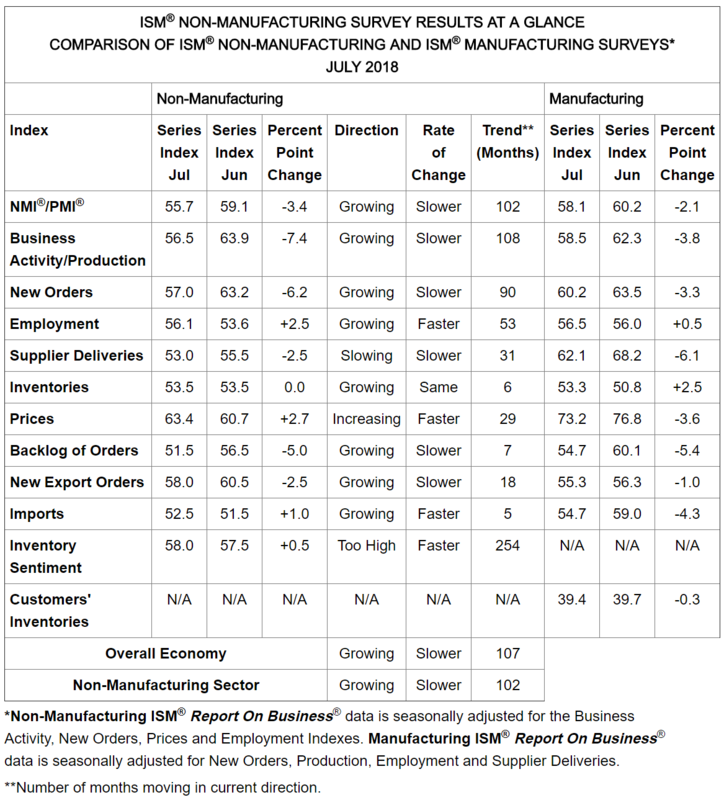 Specifically, the research firm’s purchasing managers' index (PMI) ended July at 56.0, a slight decline from June but still well above pre-election levels. Under the hood, new business rose at the weakest pace in half a year, while order backlogs contracted for the first time since April 2017 thanks to the recent uptick in hiring (reduced pressure on capacity). As for inflation, input costs continued to rise at an elevated rate last month, especially due to higher fuel, steel, and electronics prices. Several surveyed managers also said that rising wages have hurt margins lately, not surprising as employers must increasingly compete for talent. Robust demand, though, has enabled many service providers to pass on higher costs to clients, something which in the coming months could start to show up in the various measures of consumer inflation that the Federal Reserve monitors. 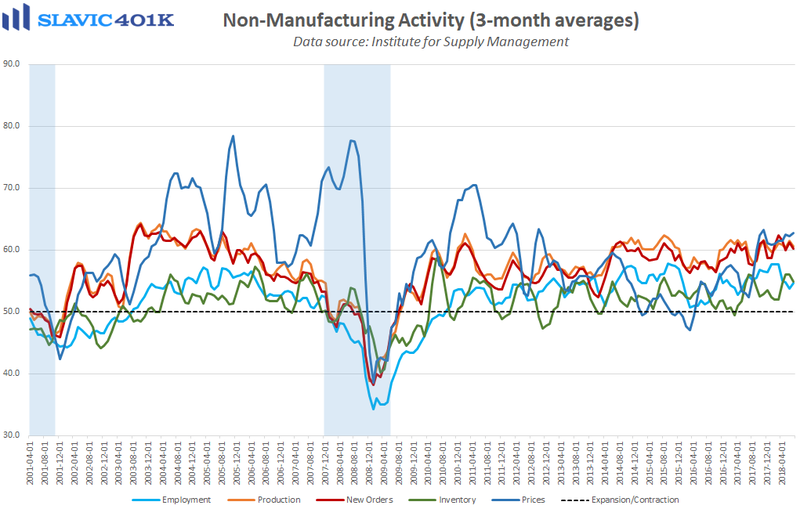 Somewhat less encouraging was the Institute for Supply Management’s non-manufacturing index, which fell to 55.7 in July. That was the worst headline print since August of last year but still a reading that is consistent with continued activity expansion. Measures of production, new orders, and foreign trade deteriorated in July, while employment improved. 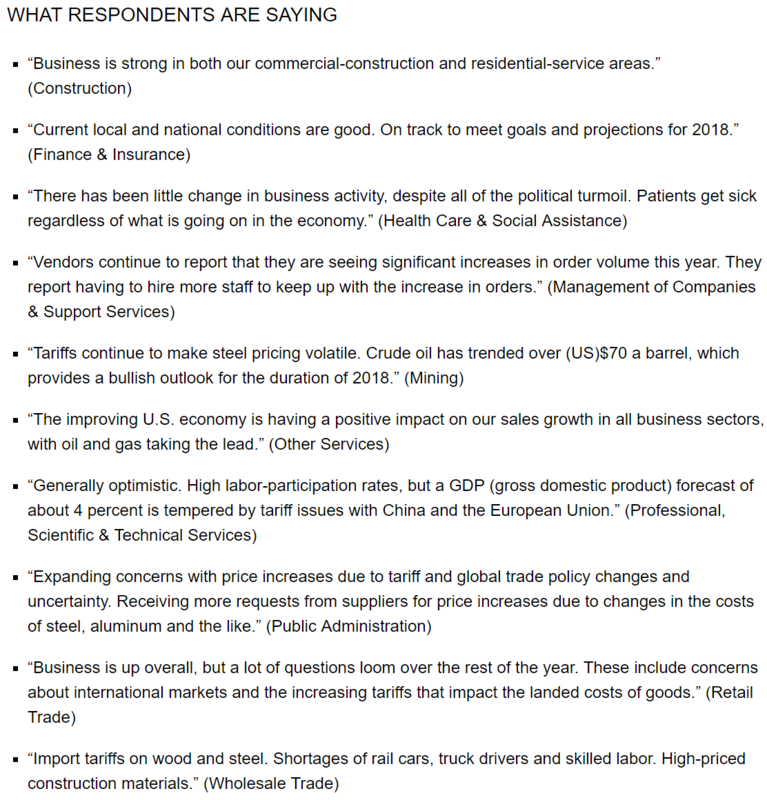 Comments from surveyed managers were generally positive last month with respect to customer demand and business growth, but some respondents voiced concerns about U.S. trade policy.